It's Summertime! A Perfect Time for a (Credit) Freeze! Originally posted July 28, 2014. The words "identity theft" in red binary code on computer monitor. One of the first steps in building a financial plan is to make sure that the assets you own are properly protected. When we talk about protecting your assets, most people think of making sure their auto, homeowners and liability insurance policies are in place and sufficient. If you are working, it's also important to make sure you are protecting your biggest asset, which for most people is the ability to get up and get out the door to earn a living. We protect that asset using disability and life insurance. But this article is going to focus on an asset you have worked hard to build and protect, and which is under constant attack. We are talking about your identity. 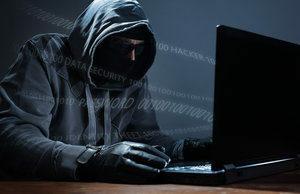 Identity theft occurs when a thief pretends to be someone else by using their personal information to gain access to their credit, or other resources and benefits. Identity theft is a term that was originally coined in 1964 and has been a growing problem for years. Advances in technology have turned this into a huge issue over the last several years. 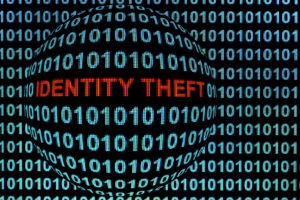 Last year a new identity theft victim was hit every two seconds in America! The number of victims climbed to 13.1 million in 2013 - an increase of more than 500,000 from the year before. Criminal identity theft occurs when someone is arrested for a crime and poses as another person to law enforcement. Identity cloning is when a person uses another person's information and assumes that identity in their daily life. Medical identity theft occurs when the criminal uses someone else's identity to obtain medical care or drugs. Child identity theft, which is generally the hardest to detect, is when the criminal uses a minor's Social Security number for some personal gain. The thieves can often establish lines of credit, get a driver's license or even buy a house using the child's identity. Sadly, this version of the crime is often carried out by a family member or friend of the family. Also, this type of identity theft can go on for years because the damage can go undetected until the child grows up and tries to access or establish credit. As a financial advisor, I’m going to focus on the financial identity theft problem. The potential for being a victim will only grow as we continue to move more of our financial lives online, where the thieves will continue to focus more and more attention. So, what can we do to protect ourselves? While there are some companies that say they offer "identity theft protection", they tend to be expensive and of questionable value. The single best thing you can do is to freeze your credit. A credit freeze will prevent anyone from opening new credit in your name. It's also very simple to do and it's inexpensive...in fact, it's free in some states. It used to be that you had to be a victim of identity theft to get the bureaus to freeze your credit. But a few years ago, the three major credit bureaus gave everyone access for a small fee...usually $10 per agency. Each state has their own rules, but in Florida, the fee to freeze is $10 per credit bureau… and it’s FREE if you are over 65! If you freeze your credit, there is no impact on the existing lines of credit that you have. You can go on using whatever credit lines and credit cards you have just as you were before the freeze. You can also “thaw” your credit freeze if you need to access your credit files for a creditor, like a new car or home loan, or a new credit card. There is typically a $10 charge to thaw your account. Protect your financial identity by going online to the three credit bureaus, Equifax, Experian, and TransUnion. Follow the directions at each of the links to freeze your credit with that bureau. After submitting your request, you will be given a Personal Identification Number (PIN) that you need to lock away and make sure you know where to find it. 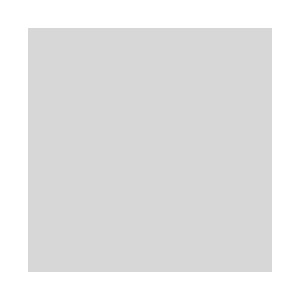 This PIN is what you will need to thaw your credit when you need to. The next time that you need to apply for a new line of credit, ask your lender which credit bureau they'll be using, and you can unfreeze just that one. So, for a total of $30 you can lock down your financial identity so that no one can possibly access credit in your name…even if they have all of your personal information. A thief can have your social security number, date of birth, and even your driver’s license number, but if you have put a credit freeze on your finances, it won’t do them any good. For more ways to protect yourself in the digital age, see our newest blog post!